they excel at a number of different things! 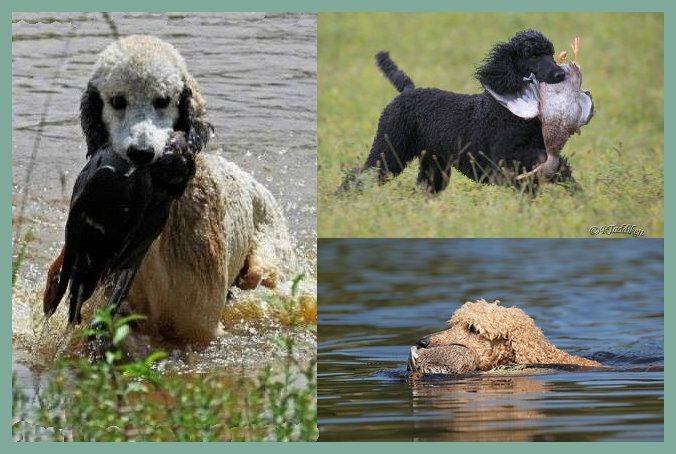 Our Rene' has sired the #11 MASTER HUNTER poodle in the U.S.
We have produced several other retrievers in water & field. and cuddle on the couch for the evening! 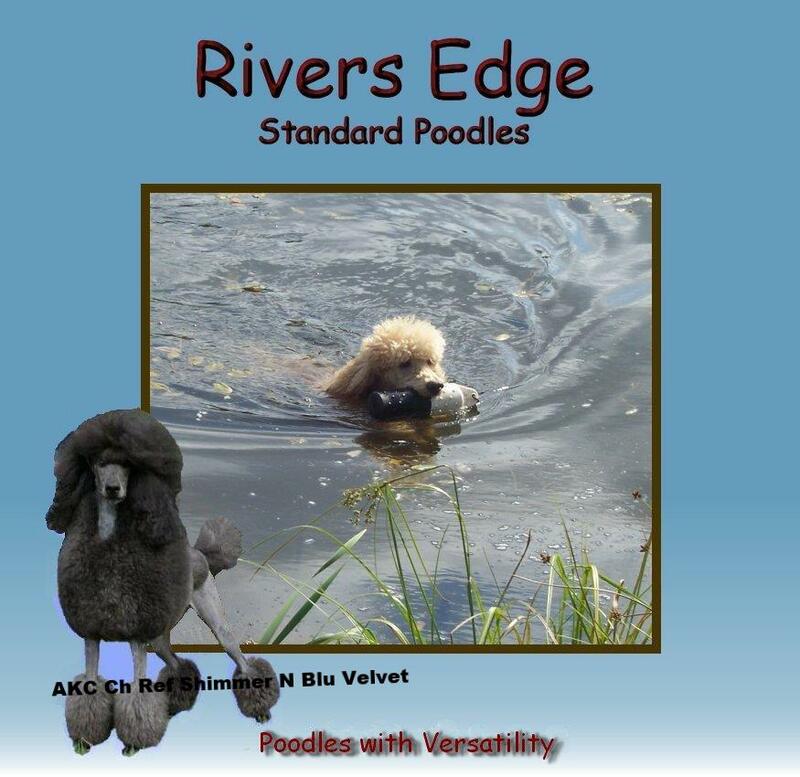 who were our "beginning" of Rivers Edge Poodles. Margot enjoyed 14 years with us and Rene' 15 years and 9 months! Longevity is something we work towards with genetics and environment. Please enjoy browsing our site! 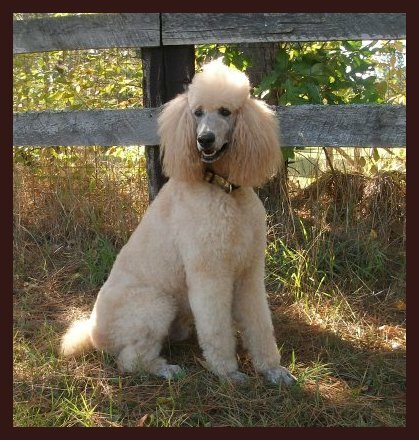 Our first of many certified therapy dogs. Our first of many obedience titled dogs. Check out our foster/guardian page to find out whether something like this would work for you and your family. 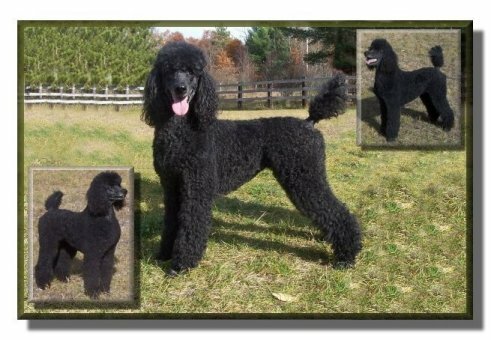 Take a look at our current available puppies and our upcoming litter plans. Some of our home bred retrievers from our solid and parti lines!